It's the latest piece of good news for the A-League this season. Tongues for coming home, Timmy. The A-League is officially the sporting thing you need to spend more time watching now that footy season is over and the long (and potentially difficult) summer of international cricket is not yet upon us. The best A-League thing from the weekend just gone? Oh, only one of the best goals of Tim Cahill's super decorated career. Oh, get outa here. That thing was ridiculous. Who'd be a corner flag? Ouch. Here's the side view. A little context: This was Cahill's first game for his new club Melbourne City. Scores were locked at nil all in the Melbourne derby. 43,000 fans were in the stands. The ball was pinballing around in midfield going nowhere in particular. Then Timmy stepped up and did what only Timmy can do. The 35 m strike was probably the most spectacular goal Cahill has scored since this cracker in the 2014 World Cup, which FIFA shortlisted for Goal of the Year. Ah, the memories. 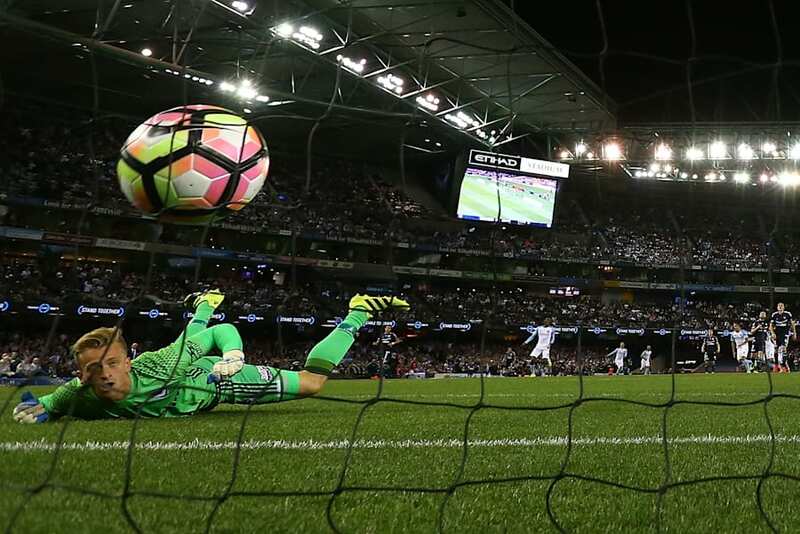 For the record, Cahill banged in another goal later, as Melbourne City beat Melbourne Victory 4-1. City now sits unbeaten atop the ladder alongside Sydney FC. But the real A-League story this season thus far is not who's beating who, but the number of fans turning up to games. A whopping 61,880 showed to the season opener in Sydney between Sydney FC and the Western Sydney Wanderers. That was a record. The previous high mark was 55,436 at the 2006 grand final. This sport is going places. A-League clubs in total now have 100,000 members. That's not much more in total than some of the better-supported AFL clubs, but it's growing by the day. Goalie, you just got Cahilled. The A-League knows that membership is the key to the league's ongoing growth. Sport is tribal, and people who belong to tribes stick with them. The league's current campaign is based around the phrase "You gotta have a team". It wants fans of the game to feel as passionately about local clubs as the overseas clubs they watch late at night on weekends. Strikes like the cracker from Tim Cahill can't hurt those ambitions. But a little less trouble in the stands would help too. Yet again, flares were let off in the stands on the weekend -- including at the Melbourne derby, a match which had fireworks galore of the football variety and needed no extra pyrotechnics.